Preheat oven to 350°F. Combine graham cracker crumbs, brown sugar, cinnamon and salt in a bowl. 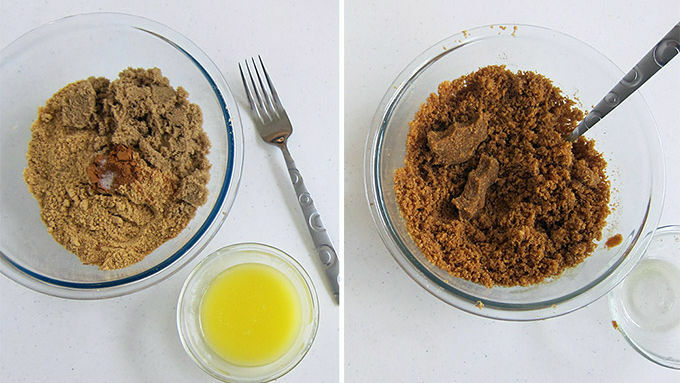 Use your fingers to mix everything together, making sure to break up lumps of brown sugar. Add butter and stir to combine. 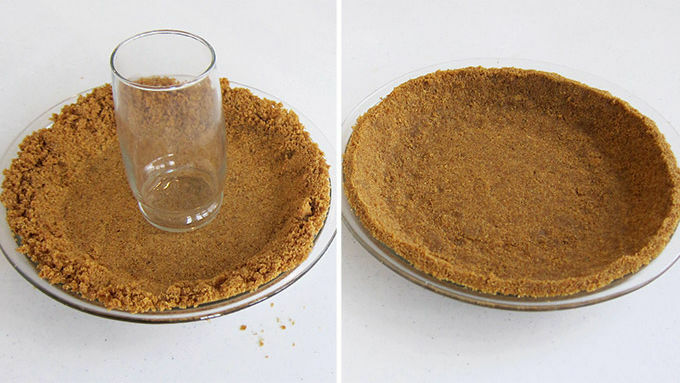 Press into the bottom and up the sides of a 9-inch pie plate. Bake for 8-10 minutes until fragrant and golden brown around the edges. Cool for 30 minutes at room temperature then for 30 minutes in the refrigerator. To make the filling, whip the cream cheese with 1 cup of marshmallow fluff. Beat heavy whipping cream to soft peaks. 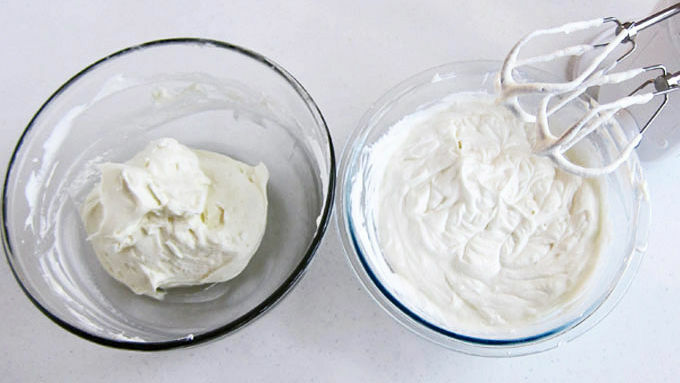 Fold 1/3 of the whipped cream into the cream cheese mixture. Spread that cheesecake mixture in an even layer over the crust. Heat remaining 1 cup of marshmallow fluff on high power in the microwave for 15 seconds. Stir until it's smooth. Whisk marshmallow fluff into remaining whipped cream. Reserve about 1 cup of cream and tint the rest pink using Betty Crocker™ pink neon gel food color. 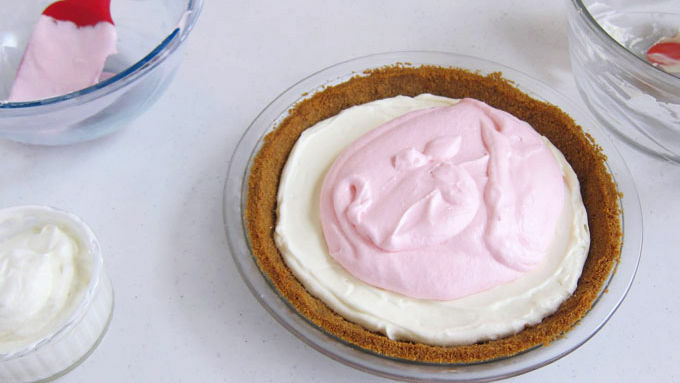 Spread the pink meringue in an even layer over the cheesecake layer. Chill pie and the reserved cream for at least 4 hours. 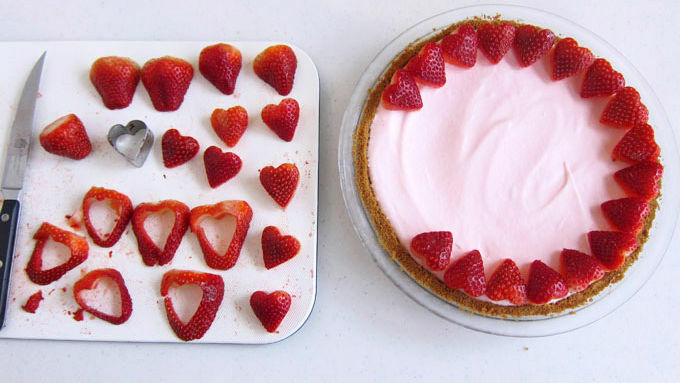 Before serving, slice strawberries and cut the slices into heart shapes using a small cookie cutter. Arrange hearts, tip facing in, around the edge of the pie. Place a dollop or pipe the reserved cream in the center of the pie and toss on some heart sprinkles. This layered no-bake cheesecake and marshmallow pie is a sweet treat for someone you love. Valentine's Day brings about the sweetness in all of us. On that one special day we do our best to not only give nice gifts to our loved ones, but to be extra sweet to them as well. Since I like to bake, I usually present the special people in my life a gift from my kitchen. This year I've made them pretty Sweetheart Marshmallow Meringue Pies. The pies are made on a graham cracker crust, then topped with a layer of no-bake cheesecake filling and a layer of pink marshmallow whipped cream. To decorate the pies, I've cut hearts out of strawberries, arranged them around the edge of the pie, and then added a bit of white marshmallow whipped cream and some heart sprinkles. 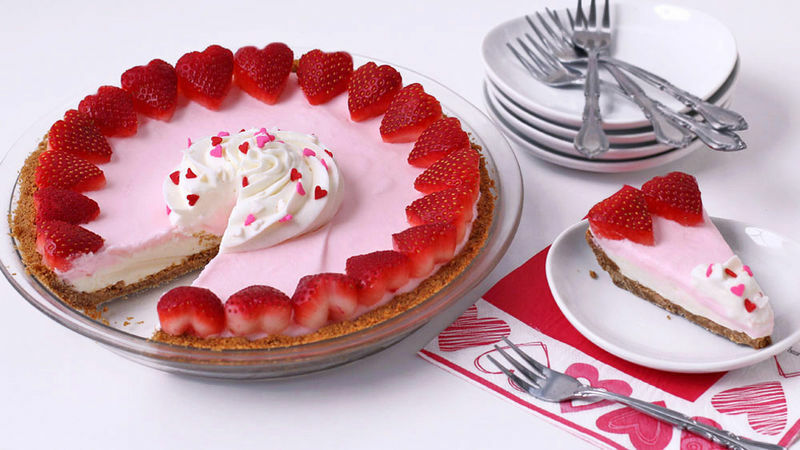 The pies look pretty and taste sweet – which is perfect for the holiday that celebrates love! Serve up a slice of this sweet little pie for your sweetheart!